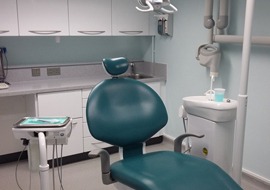 Whatever reason you come to see us for, at Burwell Dental Surgery we will provide you with an individual, bespoke treatment plan that has been tailored to suit your needs. This applies to general, restorative, preventative and cosmetic dentistry. If we find you need any additional treatment after your initial consultation, your dentist will go through their findings with you and will discuss the pros and cons of all suitable treatment options. Treatment needs will be prioritised and we will treat urgent or immediate problems first. All short-, medium- and long-term issues will be highlighted in your treatment plan. We will treat health problems before cosmetic issues, because cosmetic treatment should only be carried out on a healthy mouth. Your treatment plan will also include details of who you will see for various treatments – your dentist and hygienist, for example. At Burwell Dental Surgery we appreciate that many of our patients have busy lifestyles, which is why we always strive to book appointments at the most convenient time. We offer early morning and lunchtime appointments Monday-Friday, and also have some early evening appointments available on Mondays. Half-terms are very popular with families and these favourite appointment times are often booked far in advance for your convenience. As a private practice we are also keen to offer all patients the chance to join our practice plan. This helps to spread the cost of the examination and hygiene visits, as well as giving you a 10% discount on most treatments. The practice plan also includes worldwide emergency dental insurance, meaning you are covered if you suffer a dental emergency at home or abroad. Should you have any questions at any time during treatment, please feel free to get in touch with the practice – we are always happy to answer your queries.